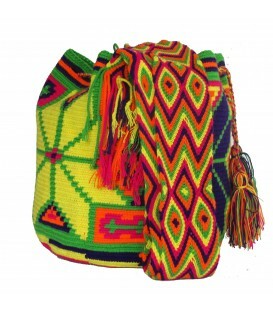 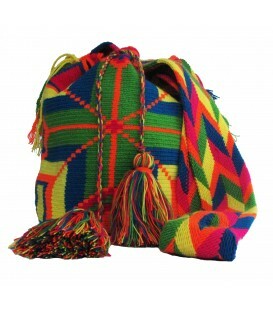 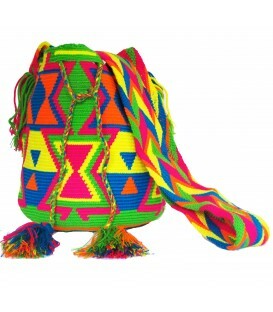 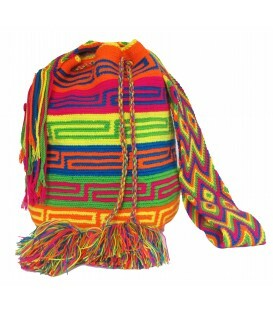 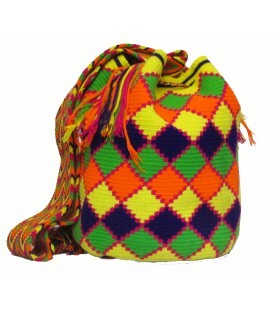 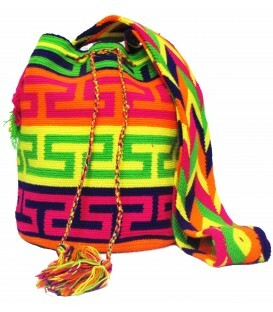 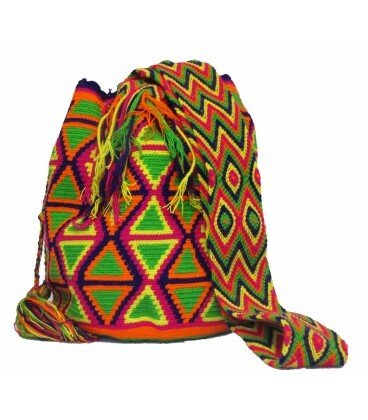 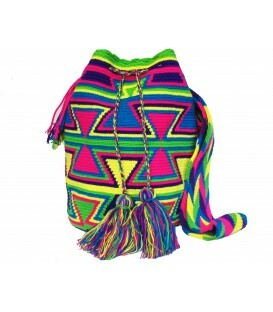 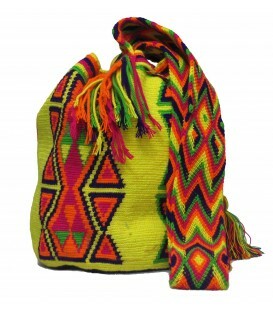 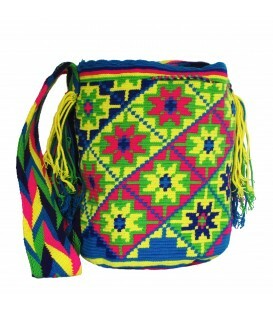 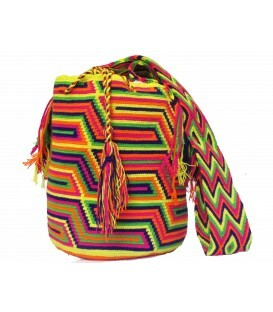 South American Guajiro Wayuu Mochilas are one of the most outstanding handicrafts of the Wayuu community.They are traditionally handwoven by the Wayuu women of La Guajira, in some cases taking up to 2 weeks for them to be completely woven.All of them are 100% handmade in Cotton Thread and are traditionally used as fishing net and personal use item carriers. 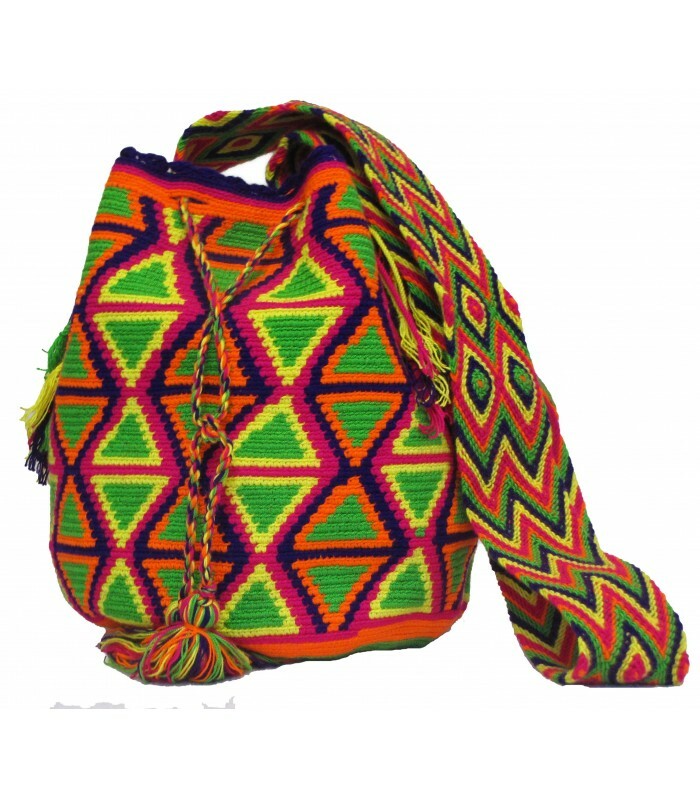 The story tells that spider Wale´ Keru first taught the weaving techinique to a single woman that then transmitted it to the wayuu tribe by exchanging her knowledge for clothing and goods. 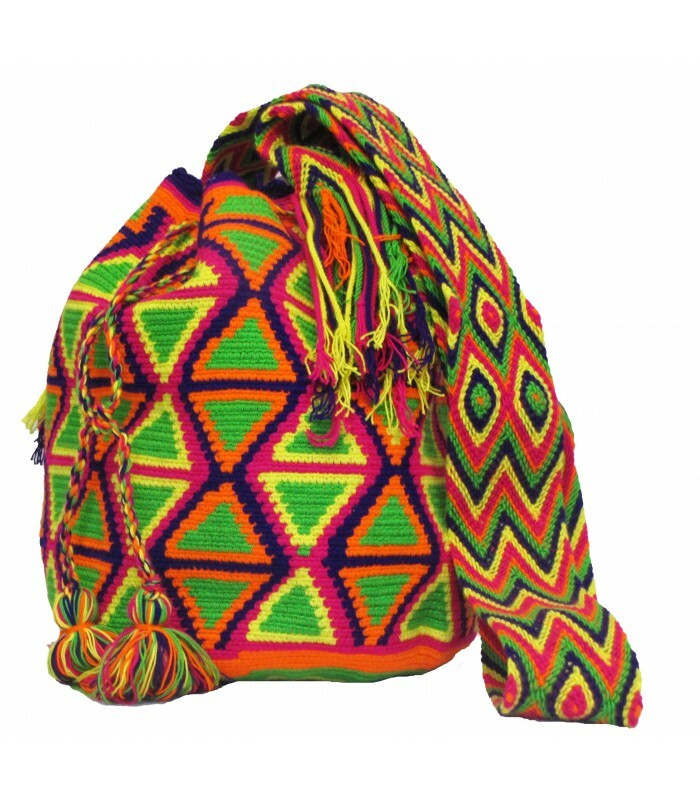 Story tells that Wale´ Keru fell in love with a man; and after fleeing with him she was offered cotton as a gift ,which she swallowed and then expelled as a twisted stream of woven cotton threads.